The colourful terracotta mosaic inlay on the Amalfi chairs and table set evokes sunny Neapolitan climates. 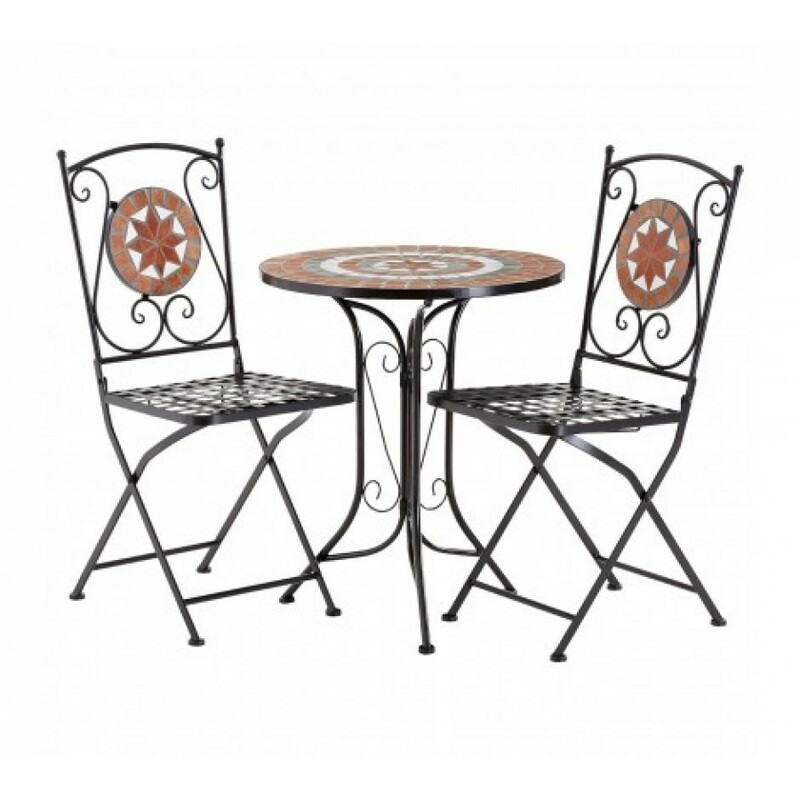 Both the folding chairs and round table are made from sturdy wrought iron, and feature beautiful scrolled metalwork. The mosaic's reddish, grey and white hues combine to form a circular pattern, with a star shape at the centre. A stylish addition to the garden patio.